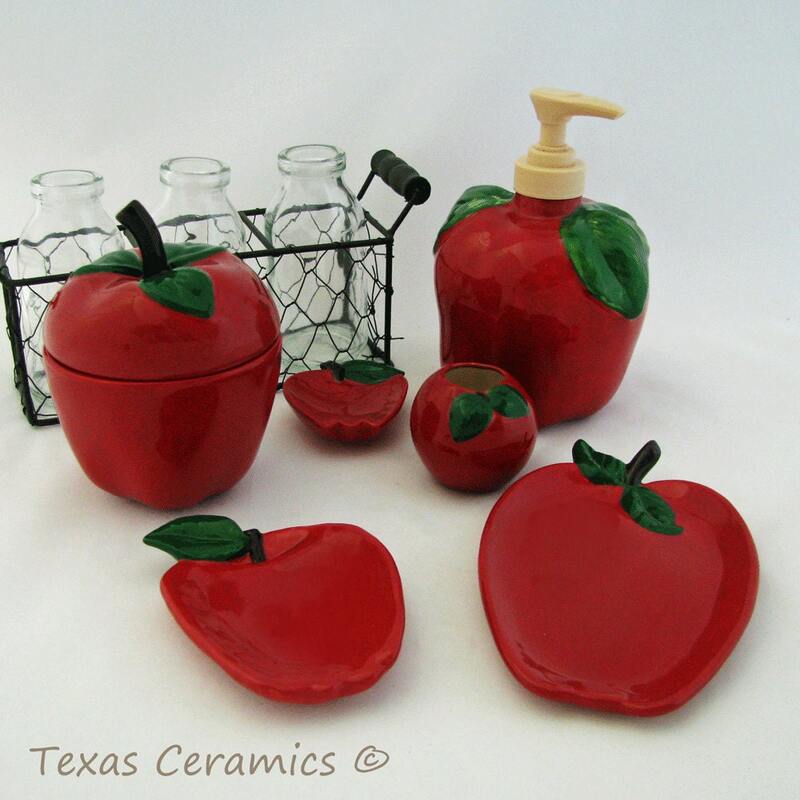 Are you looking for something to dress up your kitchen or bathroom sink or vanity area or to add a touch of fruit to your decor? 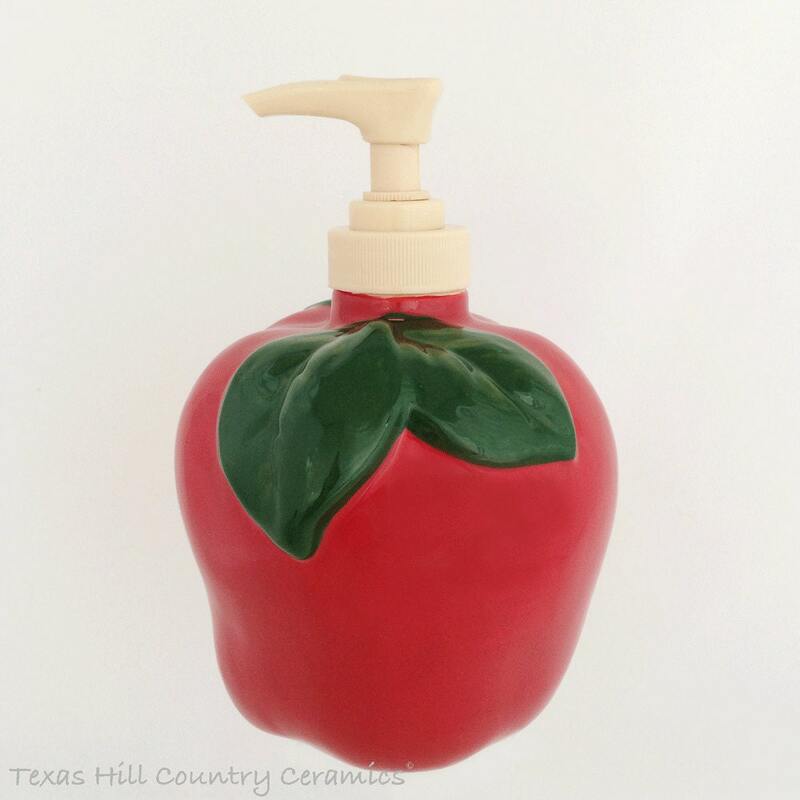 This ceramic red apple shaped soap pump dispenser bottle is what you need, it's a great size and can be used all year long. 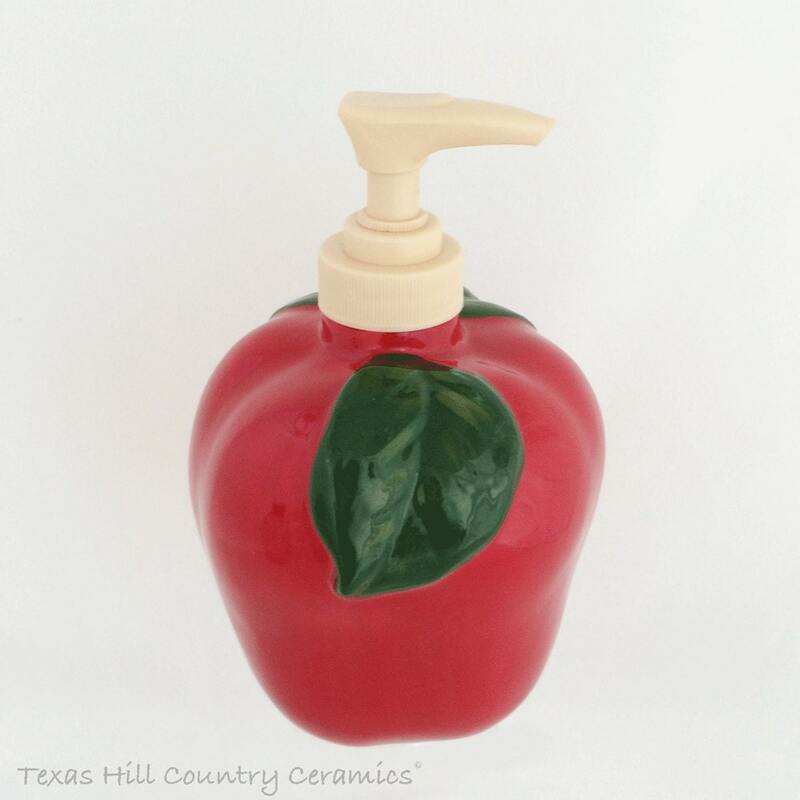 The red apple soap dispenser is made of durable slip cast ceramic earthenware, the outside is apple peel red, green leaves are at the top, two on one side and a single leaf on the other side. 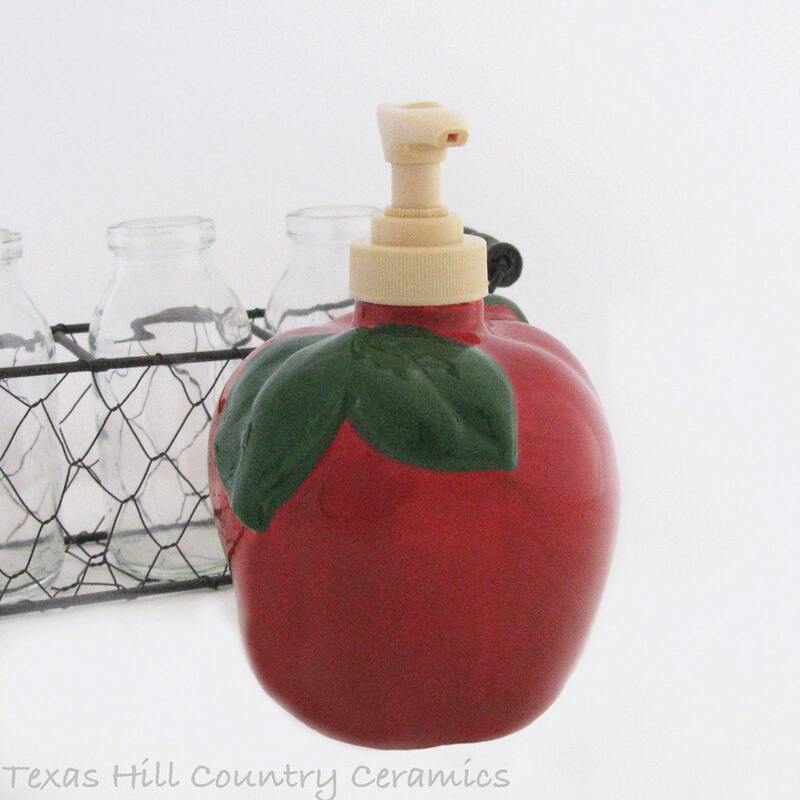 At the top of the apple dispenser is a tan plastic pump unit. • A tan plastic pump unit is included. 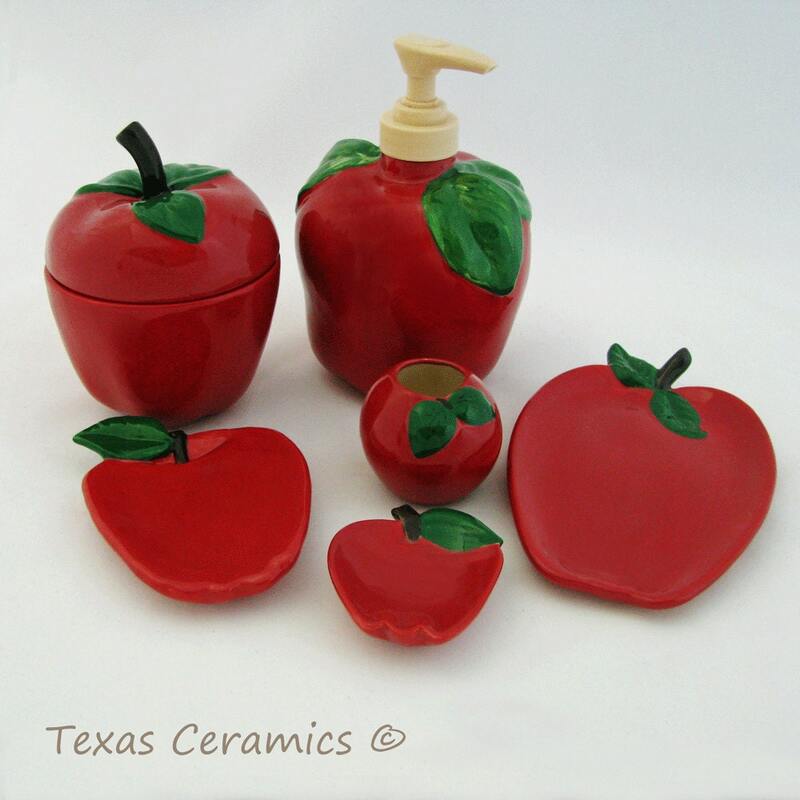 Coordinating apple items are available.